So the other day, I found myself gawking over a pair of beautiful shoes worn by Miss Niomi Smart, blog post here, so I followed the link to the Kurt Geiger website and decided to have a bit of a mooch, which was essentially a bad idea as now I’m torn between five beautiful pairs of heels that I desperately need want. So this is where I need your help! Let’s see the options shall we? Check out these bad boys! Aren’t they just flawless? I really love the chunky gold chain on the ankle strap, perfect to pair with some rolled up skinny jeans or a LBD, don’t you think? These are the most expensive little piece of Kurt Geiger in this post but, I really wouldn’t mind paying £140 for something this beautiful! 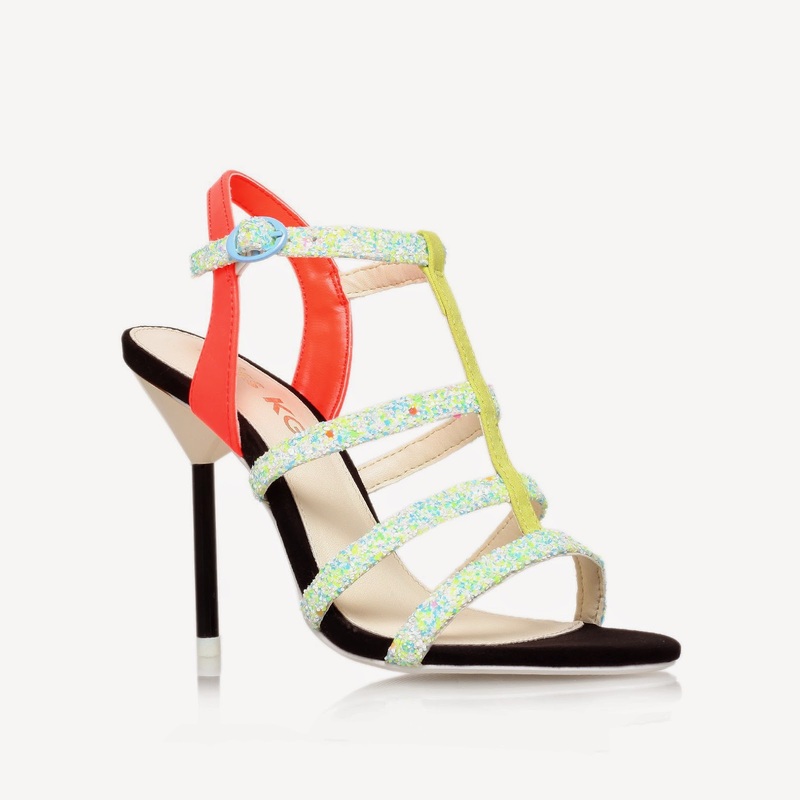 Summer party heel alert! I love the pops of colour and of course the metallic(shiny!) bars are gorgeous. I wish I could make shoes, in fact, I wish I had made these! I’ve wanted a pair of day to night heels for the longest time now and I think this pair of block heeled sandals are desperate to get on my feet. I think I’m torn between these and the Topshop Heartbreaker sandals, although I do think that these Kurt Geiger puppies are 65 times more classy. These are actually available in four different colours, white, black, yellow(pretty amazing too, to be fair) and gold. I never went to a “prom,” but if I had, I think these would be the shoes I’d have worn, just look at them, they’re screaming prom! 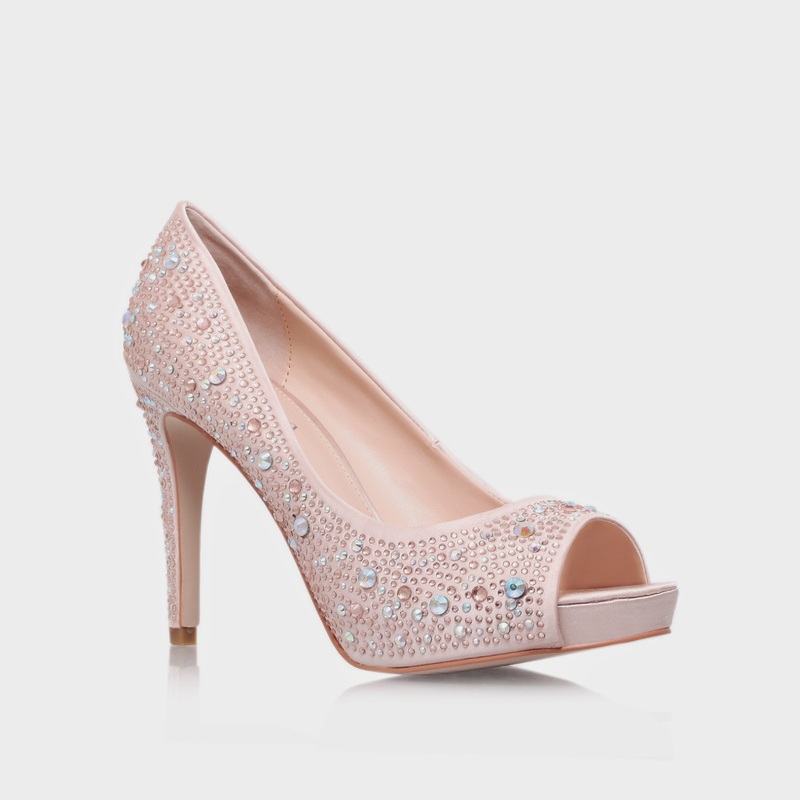 Last but certainly not least are these killer party heels! For one, they’re pink(ish), so major win already and secondly they’re beautiful and I’ve honestly starred at this photo for way too long now.